I participated in a campaign for Mom Central Consulting on behalf of h.h. gregg. I received a promotional item or my participation. I am disclosing this in accordance with the Federal Trade Commission’s 16 CFR, Part 255: “Guides Concerning the Use of Endorsements and Testimonials in Advertising. It’s that time of year again — spring cleaning. I’ve been organizing and decluttering for days now, and just about to the point where I can really start cleaning. I’m also ready to update my kitchen. 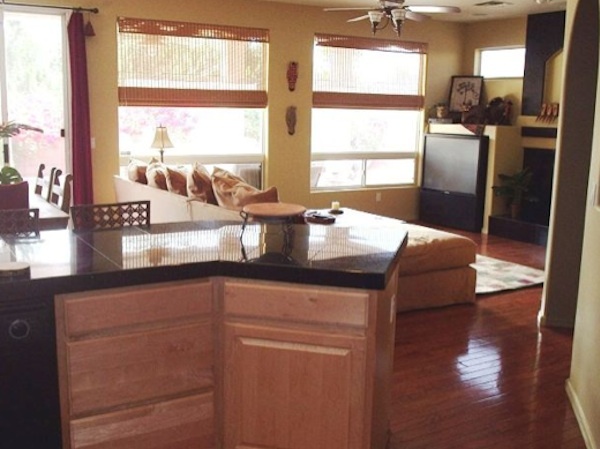 I’d love to get new counter tops, flooring, and appliances. Speaking of appliances… h.h. gregg has a sweepstakes going on right now through April 27th, where they’re giving away 4 Frigidaire French-Door Refrigerators! Nice! Three winners will be selected through the register-to-win sweepstakes, and one winner will be chosen from the ‘100 Ways to Organize’ game on Facebook, iPhone and Android. Oh, and they’re also giving away $100 h.h. gregg gift cards daily! I just entered, so be sure you do too! What an incentive to get organized! Man I entered and I seriously want to WIN! What an awesome giveaway! Totally entering.